October climbs and jumps and looks alert, and hasn’t had too much trouble shedding. He’s doing well. Unfortunately, May isn’t. 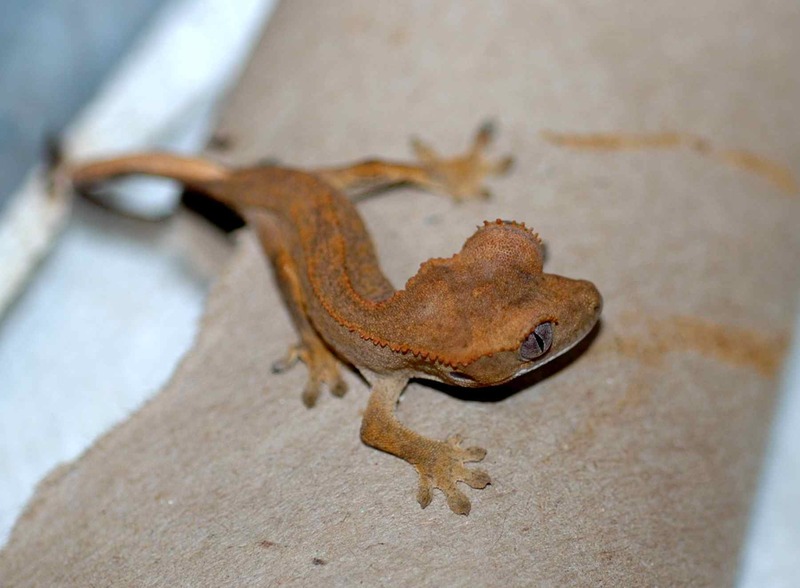 She is now 1.7 g, smaller than when she hatched. She has at least one visible developmental abnormality, so she may have invisible ones as well, that make it harder for her to eat or grow. May looking not too bad, just skinny—but note the enlarged left eye. May’s way-too-big eye. She also lost some toes in a bad shed. I’m not terribly optimistic about her, but I certainly haven’t given up. She is alert and has, after all, survived this long. Her enlarged eye is weird but it isn’t infected or anything like that, and there’s a chance that as she grows bigger (if she starts growing!) she’ll catch up with it. It makes you appreciate how well development works most of the time! 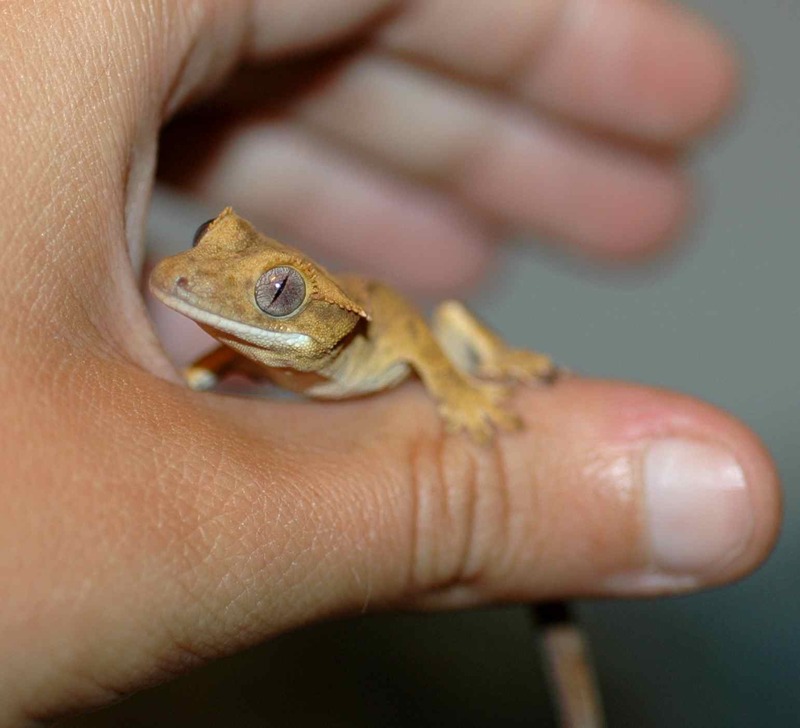 This entry was posted in geckos and tagged crested gecko, eyes by toughlittlebirds. Bookmark the permalink. Shedding is clearly a more dangerous process than I realized. Poor May. Was she the first or the second to hatch? 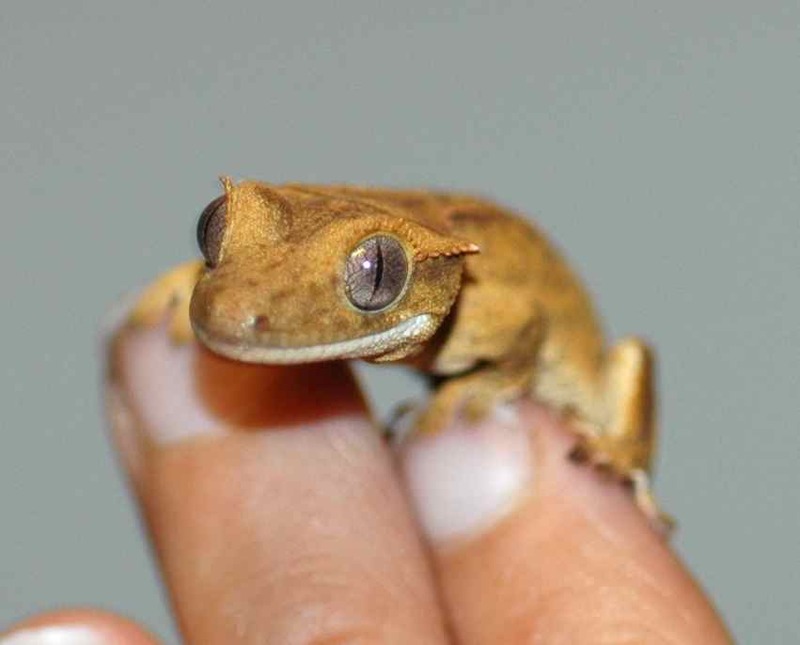 Yeah, shedding isn’t a big deal once they get bigger, but when they’re little the skin can stick to them and shrink as it dries, constricting little bits like tails and toes. May was the second to hatch. They’re pretty…. I hope the big eye of May isn’t a problem. Did big eye make it? 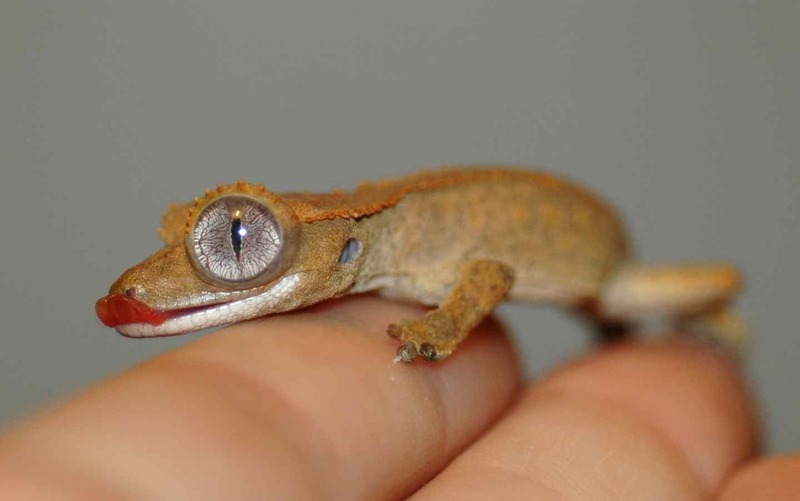 I know this is an old blog but just in case anyone finds it again, enlarged eyes like that are usually due to excessive fluid buildup inside the eye, it is usually treated by taking to vet and having it drained, while this doesn’t always correct it the first time it usually does work, also note hatchlings need a slightly higher humidity to help assist with shedding,so the loss of limbs is lower, while it cannot be avoided totally, as some animals are just born with abnormalities! I’m always constantly checking on my hatchlings Cuz I worry to much!